Make a Backup ! These items will be applied to your model irreversibly. Making changes to a simple mesh with a modifier is much easier before these steps, than after these steps. 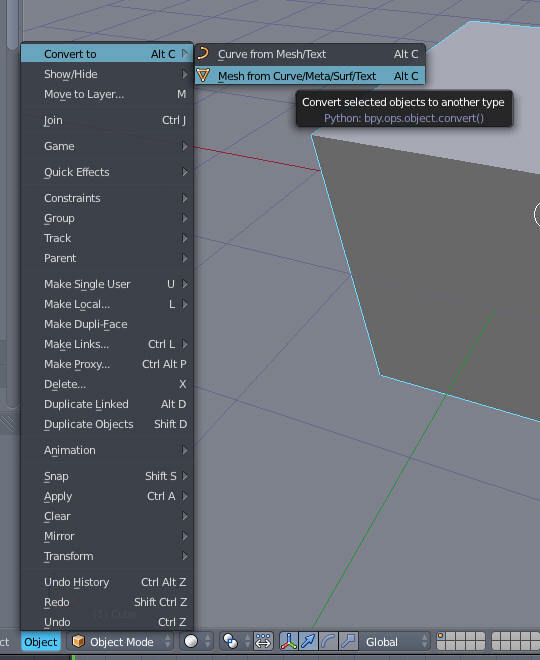 You will only be able to use Meshes as final output. So a lot of models you find will need to be converted to mesh. 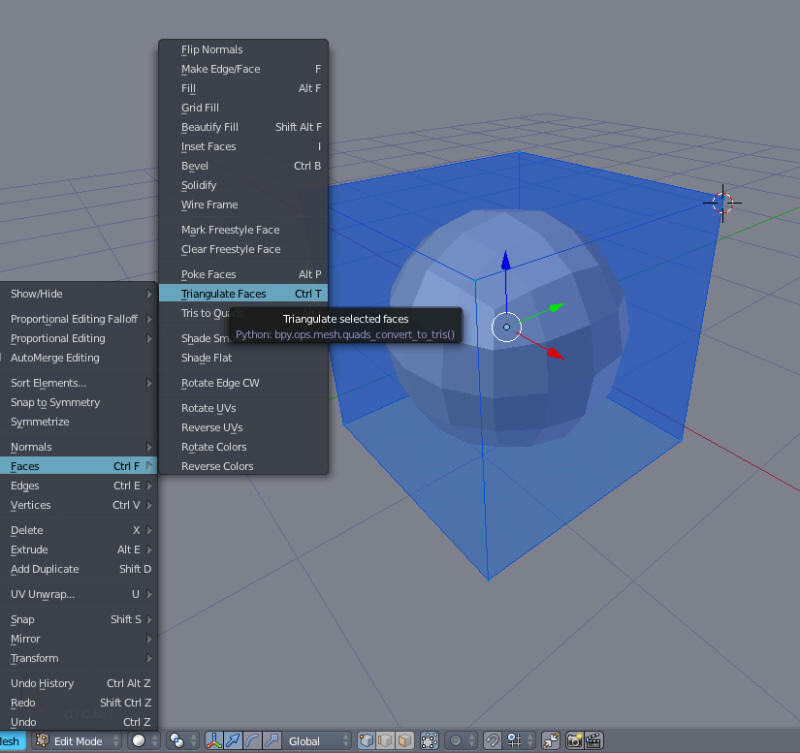 Any modifiers should be applied before exporting, except Armature modifiers. The Avastar plugin will do this for you, but it is best to apply them individually and check for errors before you spent $L uploading. 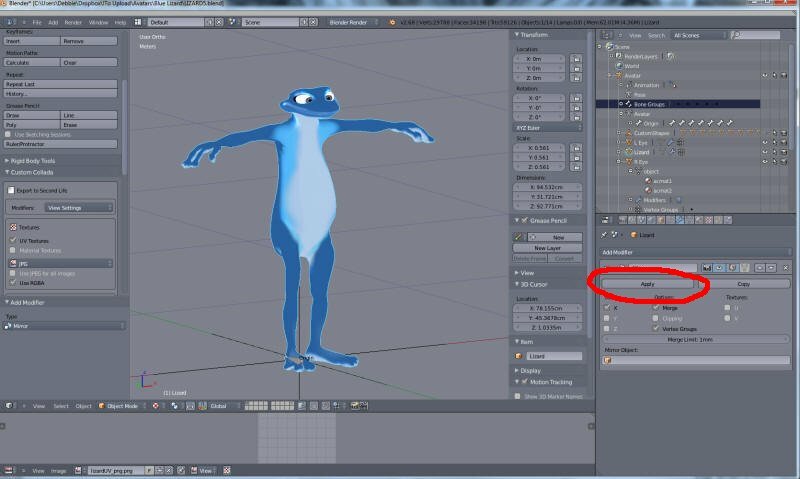 As an example, this nice, open source lizard has a mirror modifier. Click the Apply button to remove it. If you do not apply the rotations and positions to all meshes, then they will appear wrong size, rotation, or out of place when first loaded. Not a big thing with avatars as they use weight painting and will correct themselves when worn, but annoying. One way to find these is to enable "All Object Origins" in the 'N' window. A dot will appear. All the dots should be located at 0,0,0 on your screen. 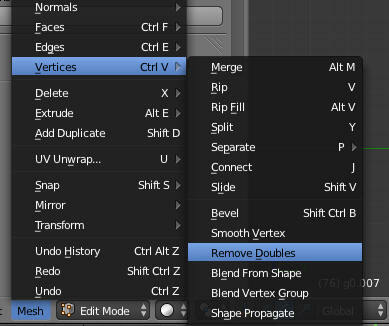 Select each mesh, go into edit mode, and click Mesh-Vertex->Remove Doubles. For best results, select each mesh, edit it, and run the Triangulate command with Ctr-T or select Mesh->Faces-Triangulate Faces. Second Life and Opensim will also automatically do this for you. If you do it first, any surprises you see can be easily taken care of. Step 1. Save your model. Now export it as Collada. This will be your highest level of detail model. Step 2. Apply a reduce modifier of 0.5. It will reduce the level of detail by half. You may need to tweak the UV map. This will be your level 1 modifier. Now export it as Collada into a new file. Step 3. Reload your original, saved high poly model. Apply a reduce modifier of 0.25. It will reduce the level of detail by four. You may need to tweak the UV map. This will be your level 2 modifier. Now export it as Collada into a new file. Step 4. Reload your original, saved high poly model. Apply a reduce modifier of 0.125. It will reduce the level of detail by eight. You may need to tweak the UV map. This will be your level 3 modifier. Now export it as Collada into a new file. The above numbers are just suggestions. Your model may differ. If you are working on a couch, the level 3 LOD could just be a couple of cubes, as no one really needs to see the detail on a couch from far away. For the lowest possible LOD, I have used a single triangle for Level 3 LOD.